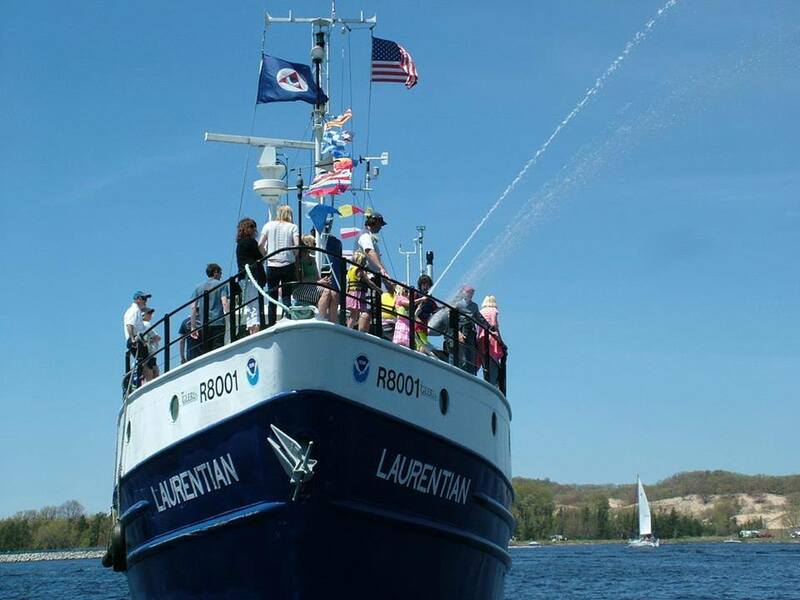 A Celebration - Big Lake... Big Fun! 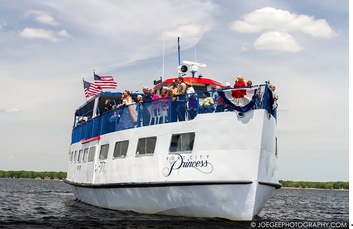 Boats of all types will gather on Muskegon Lake near the Milwaukee Clipper as we get ready for the Parade of Boats. 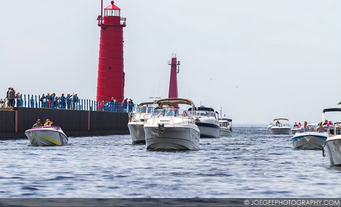 Follow the Marshal Boats Out the Muskegon Channel towards Lake Michigan to the South Breakwater Cove. 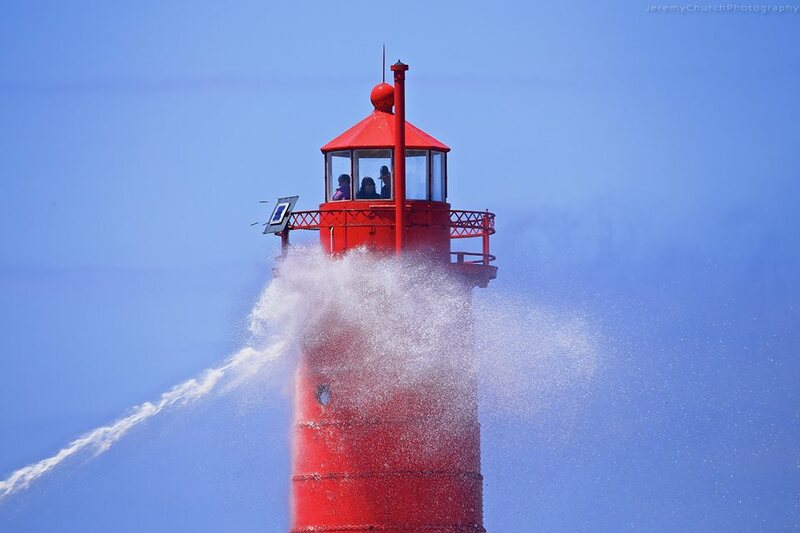 Enjoy the show as our special guest ceremonially washes the South Lighthouse representing the start of the boating season. Dockers Fish House - Another sunday Funday. Saturday, Sunday and Monday from 1PM until 5 PM the lighthouse will be open for tours. 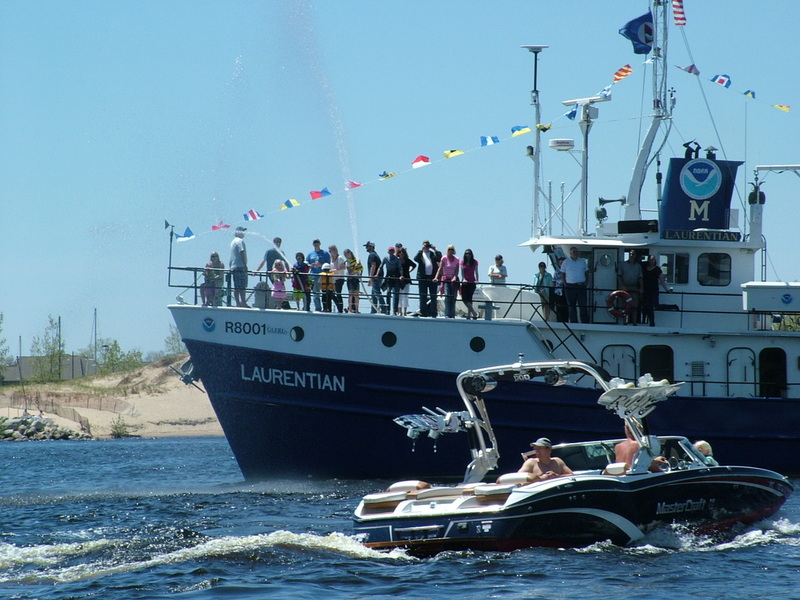 12:30pm Gathering of the Fleet, Aquastar will leave the Mart dock downtown Muskegon. Arriving at the channel about 12:45pm. 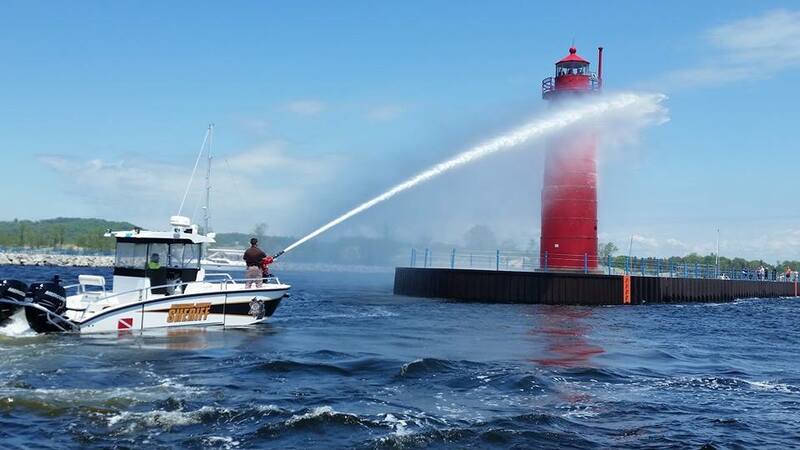 1:00pm Muskegon County Sherif Fireboat will travel to the South Pier Lighthouse for the Washing of the Lighthouse. 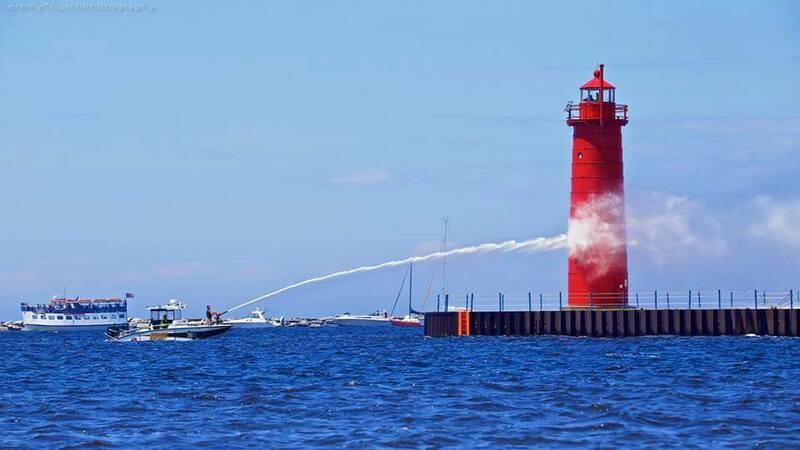 1:15pm "Washing of the Lighthouse"
1:30pm Blessing of the Boats - The Blessing will be in the South Breakwater Cove after the Washing of the Lighthouse. The Aquastar will slow in the south breakwater. Boats are asked to pass as they receive the blessing. 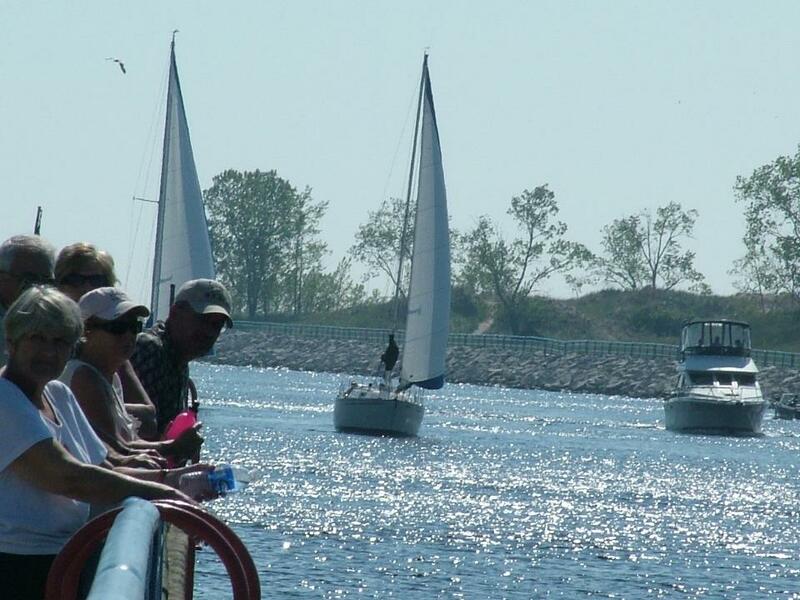 Meet at the Muskegon State Park Boater Dune area on the West side of Muskegon Lake for the annual Dune Splash. Don't forget, if you don't get in the water, your summer may be cursed. Splash on my friends.